Want to do well in the 17th Annual Earthling Abduction Tournament this weekend? Alien Day on April 26 is fast-approaching and the abduction tournament this weekend is another indication that the big day is almost here. Experts from Humans In The Light, a professional abducting resource, revealed a few hidden tournament secrets that will push you past the competition. According to Well, if you keep worrying about how an E.T. in another valley is doing, you’re going to be seriously off your game. 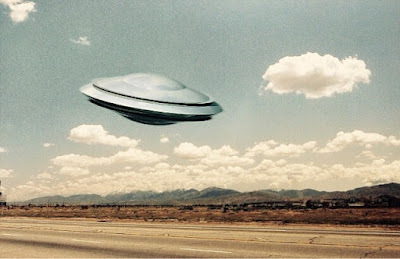 Maybe you’ve had a great pre-abduction and you figure you can put 4,000 to 6,000 pounds in the saucer, no problem. You’ve been pitching Americans and landing Brits. Life is good. Until you reach the space station. Well suggests you not focus on the competition at claw. Instead, he reminds all aliens to envision a good time. 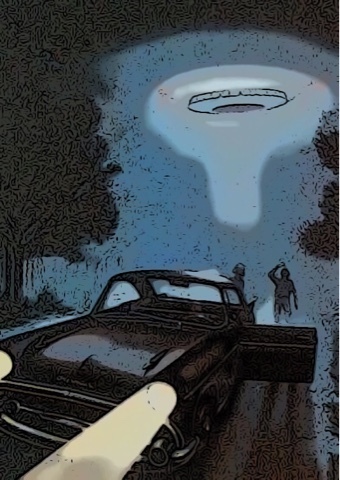 “After all, that’s what abducting is about, not the number of humans you’ve tractor-beamed to your saucer,” Well said. According to Litesover Phoenix, a lower-level representative of Humans In The Light, doing well in a tournament means understanding humans and familiarizing yourself with tournament environments. According to Phoenix, the most important factor when human abducting is understanding how humans react to changing conditions and how they use their senses (taste, feel, sight, smell, etc.). If it’s cold, humans tend to stay indoors. If it’s warm, they tend to be out an about. So go to where it’s warm, Phoenix said. Also note that humans eat three times a day -- in the morning, around noon and at night. So go to where the food can be found at times when the humans should be feeding, but don’t go to populated areas or you risk scaring them away or worse, you risk nuclear warfare when human governments find out we truly exist. Other experts suggest establishing patterns, setting goals, learning the difference between weekday and weekend abducting, and using the proper bait to attract humans to your light. Learn more at HumansInTheLight.mon. And good luck this weekend at the tournament. To honor the heroes who, on this day in 1948, came from galaxies far, far away to Earth to invade and abduct humans, one of the largest assemblies of pre-1950s UFOs will cross the U.S., flying over 17 key cities this afternoon. 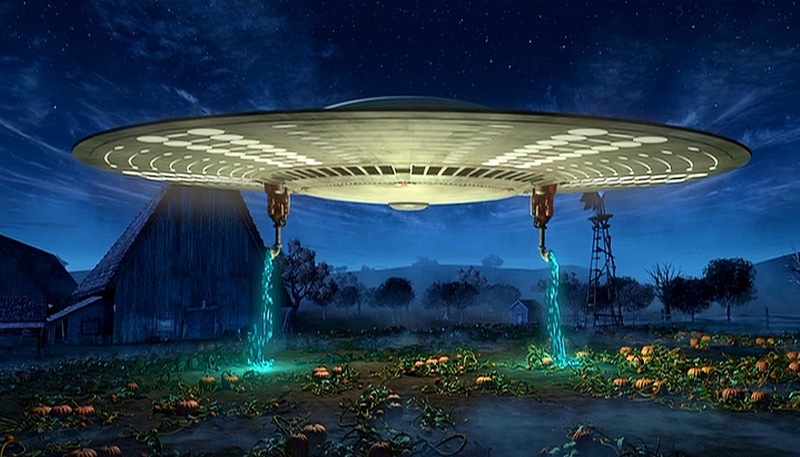 The flyover will include dozens of attack saucers, alien abduction cruisers and even a wide variety of vintage Crop Circle 100s touring in 10 historically-sequenced otherworldly formations overhead. The formations will represent the April 8, 1948 invasion of Earth, from the Early Morning Alien Encounter through the 10:27 a.m. 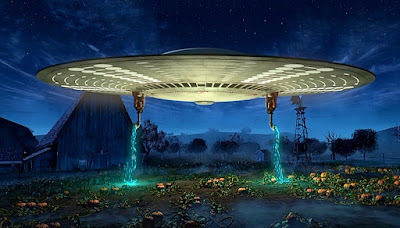 Assault on Old MacDonald’s Farm, and concluding with a staged abduction synchronized to “Taps.” The flyovers will begin at 12:30 p.m. (PT) in Modesto, CA, and will continue throughout the country until 4 p.m., finishing in Washington D.C. where aliens will seek the country’s leaders. Go to FindFlyoversAndGetAbducted.mon for a complete schedule of today’s event. 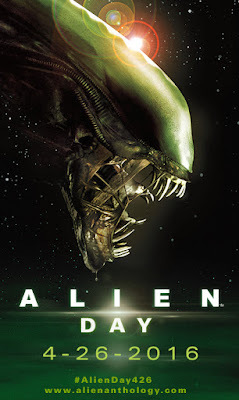 Today also marks 18 more days till Alien Day. Be ready! War is expensive and Transyl-vein-ia is turning to ordinary monsters for help in a global takeover led by the Daleks, an extraterrestrial race of mutants who are evil, not good, bent on the extermination of the inferior human race. The Transyl-vein-ia Treasury is now offering war bonds for monsters to purchase. These war bonds will help support Dalek troops in their noble quest to rid the world of good. The monster government will use your monies to help pay for human-sized pepper shakers for mutant exterior cover, space crafts to get Dalek armies to Earth, death rays for human extinction and everything else needed to fight and win. "So, that's the investment you'll be making in your world," Termunny said. "Ten years from the time you purchased your war bond, you'll be able to redeem it and get $25. That's the investment you'll be making in your financial future. That's $6.25!" According to a Dalek mutant, who wishes to remain unidentified, the Dalek army is just trying to get rid of human pests on Earth as quickly as possible. The Dalek species is a superior race. Davros, the one who created Daleks, took all emotion out of his creations' personalities in order to make them superior to any other beings, that way they could take over anything inferior. 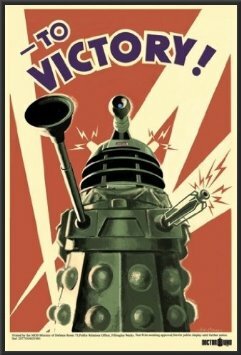 As a result, all that would remain is Dalek perfection. Critics of The Doctor say he’s just against the Daleks because he’s not part of the Daleks’ superior race. The Doctor may have something there, in which case, don’t buy war bonds, get out your telescopes, look to the skies and contact The Doctor immediately at 1-800-WHOisWHOyouGONNAcall if you see Dalek space craft approaching. 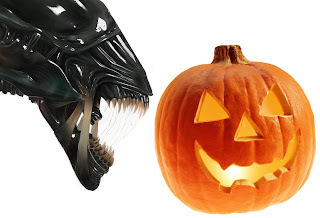 JackOLanternPress.com looks to the skies this month as we recognize Alien Day on 4-26. Why 4-26? Well, LV-426 is the exomoon where the USCSS Nostromo encountered alien eggs. Who knows? If the Nostromo never landed, we may never have had the pleasure of calling those cuddly little critters on that planet our friends. So check out JLP every now and then throughout April for news and stories from above. 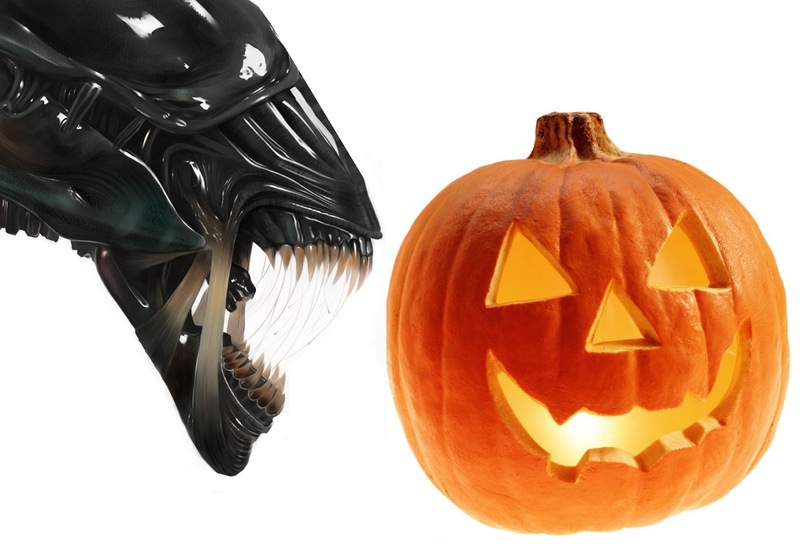 And celebrate Alien terror with us on the 26th.